We then wrote a discussion about his choices before deciding on our opinion. 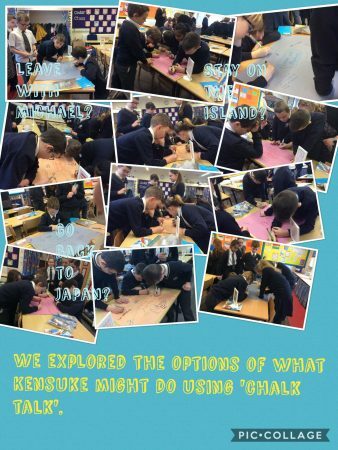 We used chalk talk to explore Kensuke’s options. Should he stay on the island? Should he go back to Japan or leave the island with Michael and go to England?